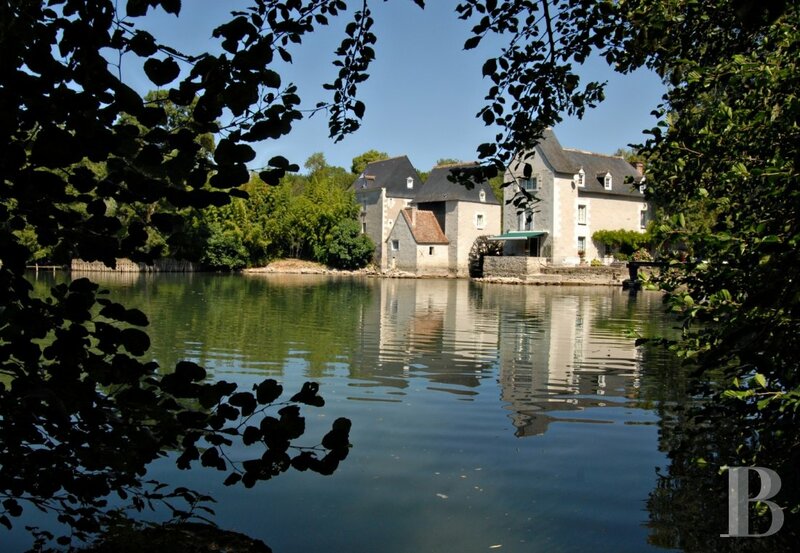 Three mills bordered by 1.63 ha of parklands in the Touraine region’s Indre Valley - mills for sale France - in Sologne, Touraine, Loire valley, Burgundy, Auvergne. 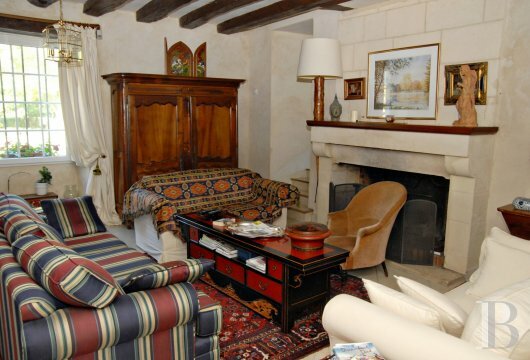 - Patrice Besse Castles and Mansions of France is a Paris based real-estate agency specialised in the sale of Mills. 3 hours from Paris by car. 30 minutes from Tours and its international airport with 90-minute flights to London as well as its TGV train station with 55-minute links to Paris. 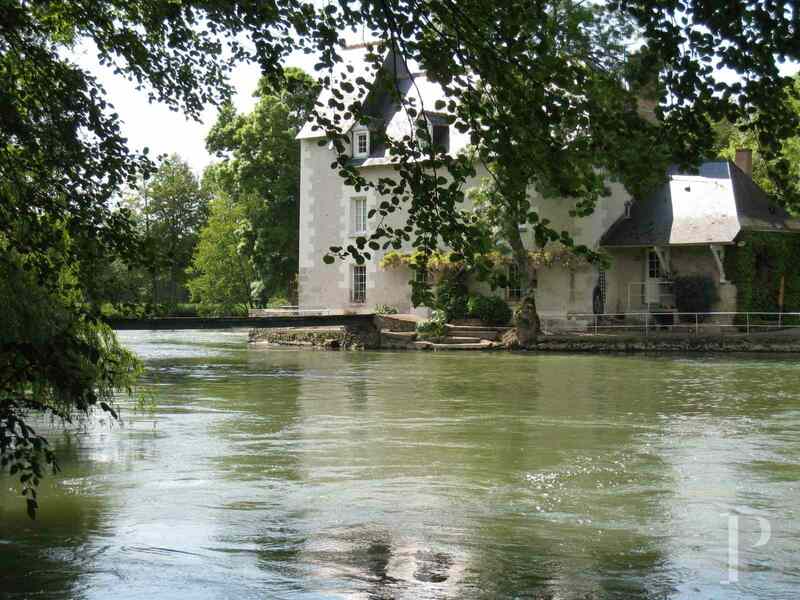 In the middle of the Touraine region, renowned for its mild climate and the richness of its historical, architectural, cultural and gastronomical heritage. On the outskirts of a small town in the verdant Indre Valley. This property, comprising three mills, forms an integral part of the river. The mills standing on the side of the Indre, it is therefore possible to reach both banks by crossing the little wooden and stone bridges constructed for this purpose. It forms a property in an outstanding although unusual setting surrounded by water and nature. 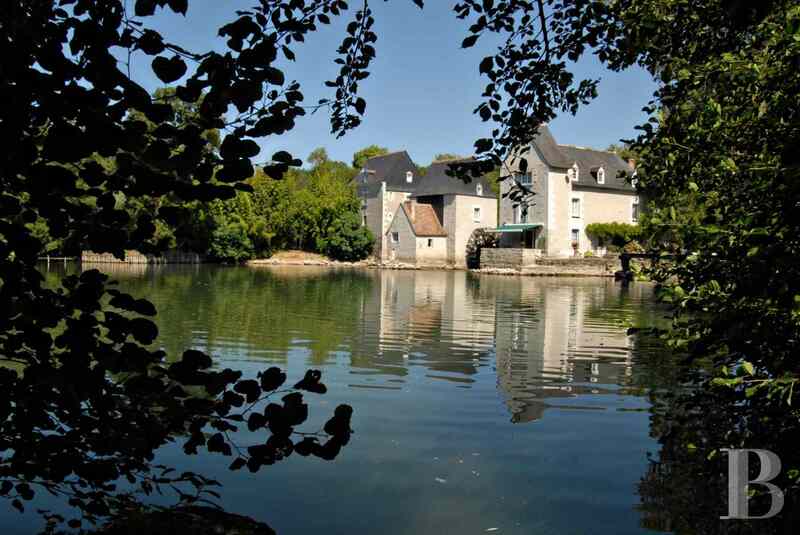 This property consists of three old mills dating from the 10th century, partially rebuilt in the 18th century. 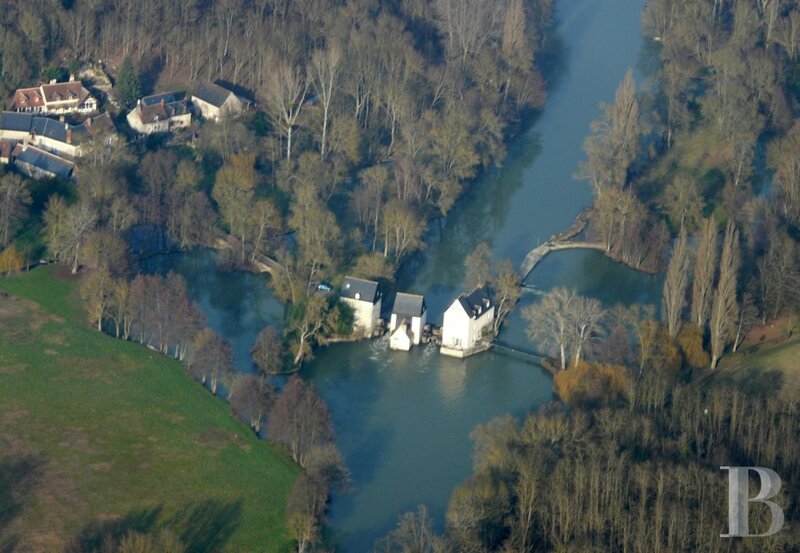 They are of different sizes and are built on three small islands on the Indre river bed. This is not a national river which means that the river bed, as far as the middle, belongs to the owner of the bank. 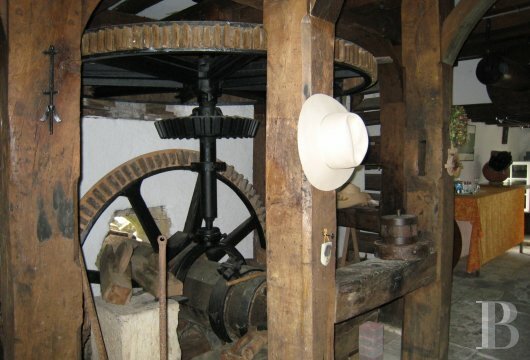 These mills, with their classical architecture and slate roofs, still have their wooden wheels and mechanisms, despite not being in good working order. This mill, spanning a floor surface area of approx. 275 m², is the biggest of the three and constitutes the main residence. 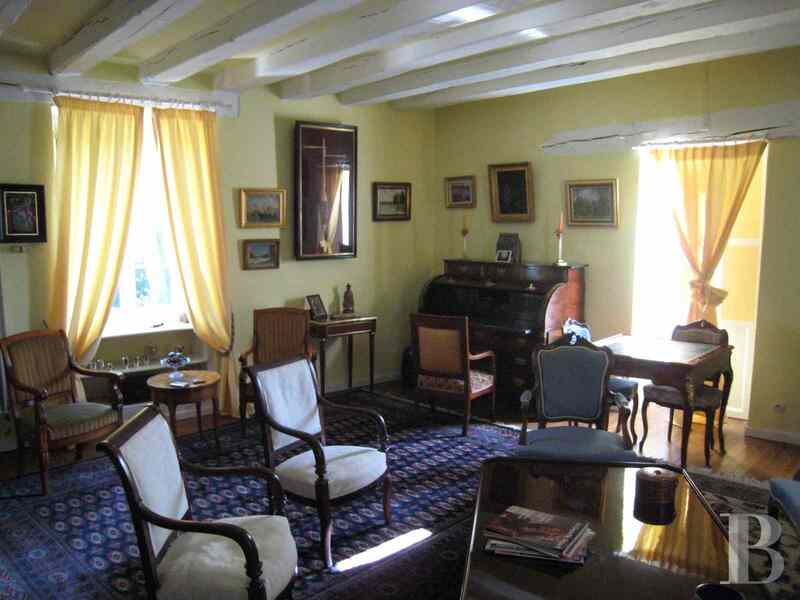 It has been fully renovated and is set half-way between the two banks of the river Indre. The ground floor comprises an entrance hall, a vast dining room which still has the grinding mechanism. 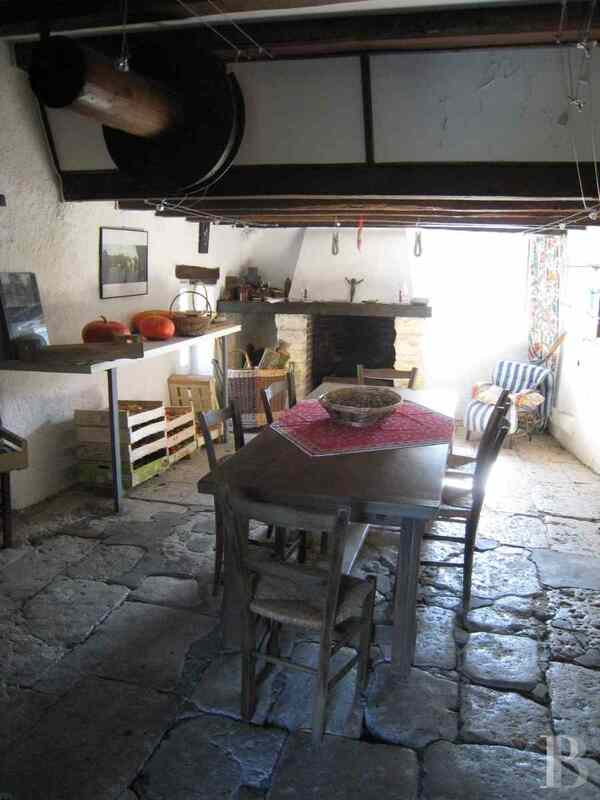 It features the original stone flagstones. There are also a cloakroom, a lounge with exposed beams and a fireplace, a fully fitted kitchen with an exceptional 180° view over the river, and a boiler room. The first floor comprises a landing which provides access to a vast triple aspect lounge, facing north, south and west, a small open-plan study, a toilet and a master bedroom with parquet flooring, a shower room as well as a small bedroom in use as a cloakroom. The second floor comprises a landing, with parquet flooring, forming a mezzanine which provides access to a first bedroom with a shower room, a toilet, a bathroom as well as a second bedroom with a mezzanine and a wide window looking out over the river. 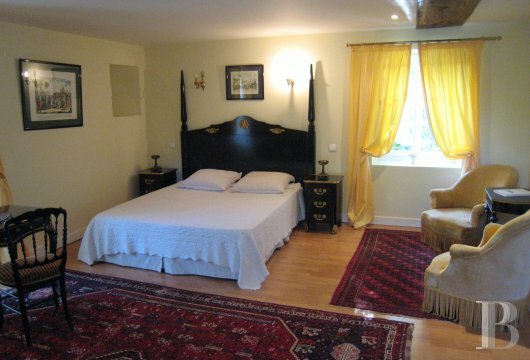 A third bedroom has parquet flooring. The north mill, fully renovated in 2001, spans a floor surface area of approx. 100 m² (130 m² with the barn). It comprises three bedrooms, each with a shower room and a toilet. 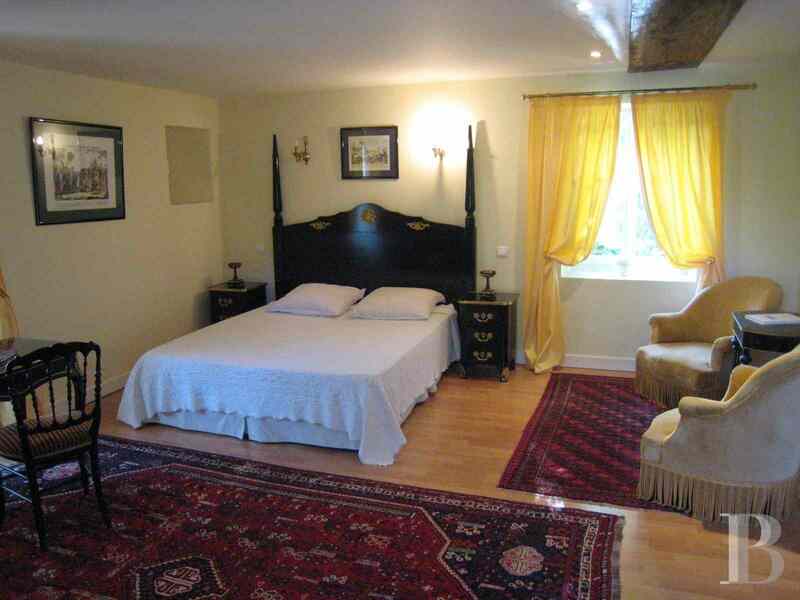 These bedrooms are reserved for friends and used for running a bed & breakfast activity from April until September. The ground floor includes a room which can be used as a small barn or a tool shed. 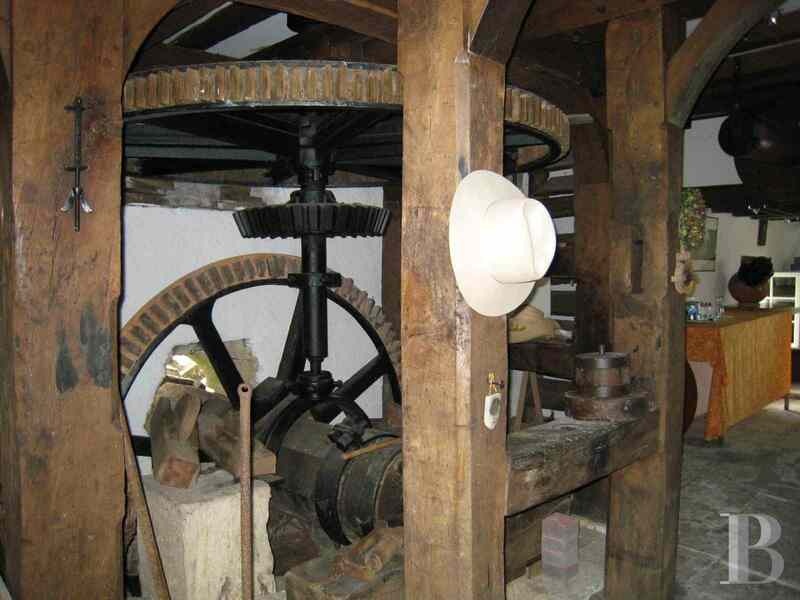 It also houses the mill mechanism. An outside stairway under a carport provides access to the first floor with its bedroom. It has an adjoining shower room with a toilet and a cupboard. The second floor comprises a second bedroom with a shower room, a toilet and a cupboard. The third floor also comprises a bedroom with a shower room, a toilet and a cupboard. There is a small attic above this floor. This is the smallest of the three mills. It spans a floor surface area of approx. 100 m² and its most recent renovation works were carried out in 2004. 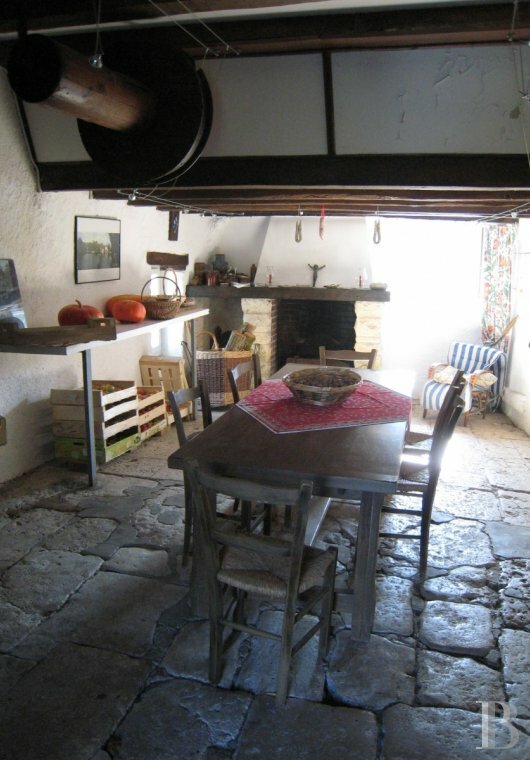 The ground floor comprises a hunting room with a fireplace and the original stone floor. Here, too, the grinding mechanism has been preserved. 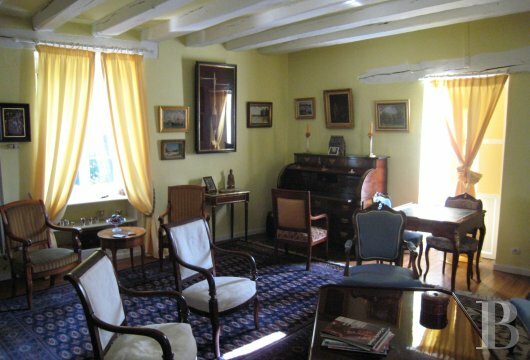 The first floor comprises a study-library, a toilet, a shower room and a small attic. The second floor has a bedroom with a mezzanine. This property comes with grounds spanning approx. 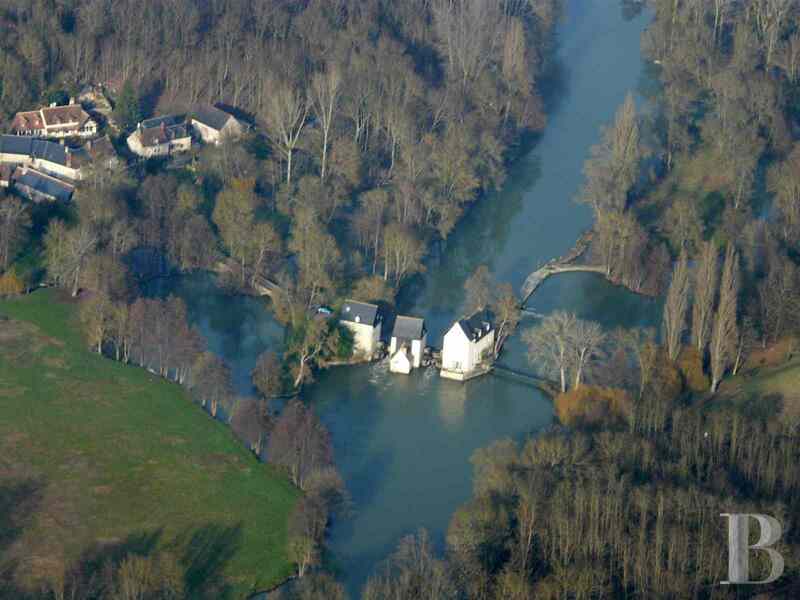 1.60 ha composed of one large island, several little islands, a lawn, a vegetable garden on the south bank, a small wood and a meadow upstream. An additional wooded area spanning approx. 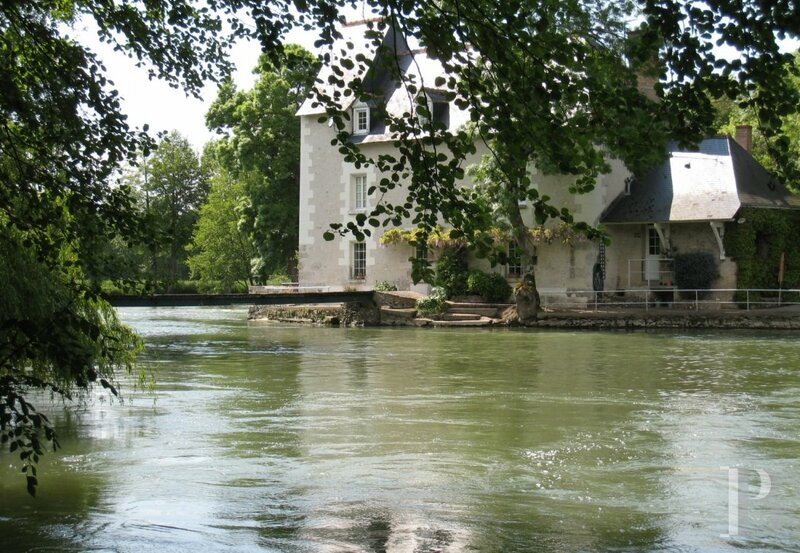 5.69 ha bordering the river is also available for purchase. 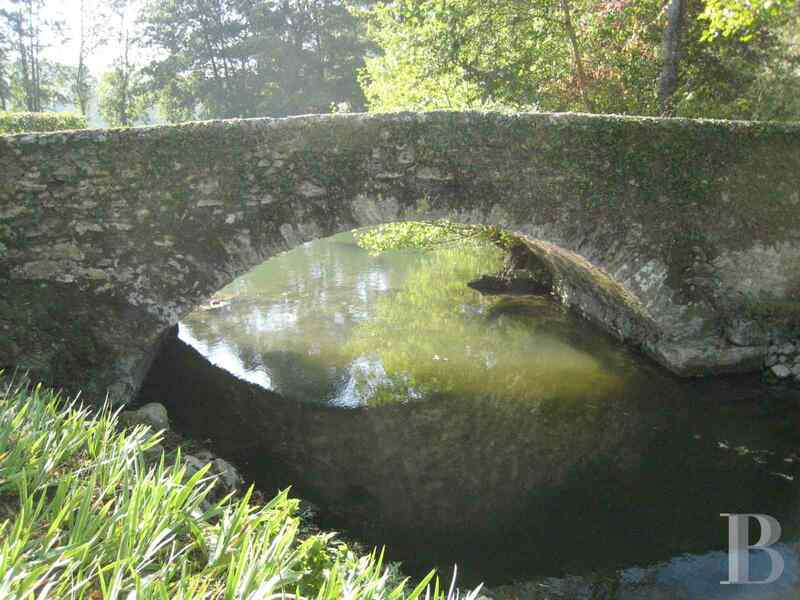 This unusual property is in a pastoral setting, the quality of which is now rare. 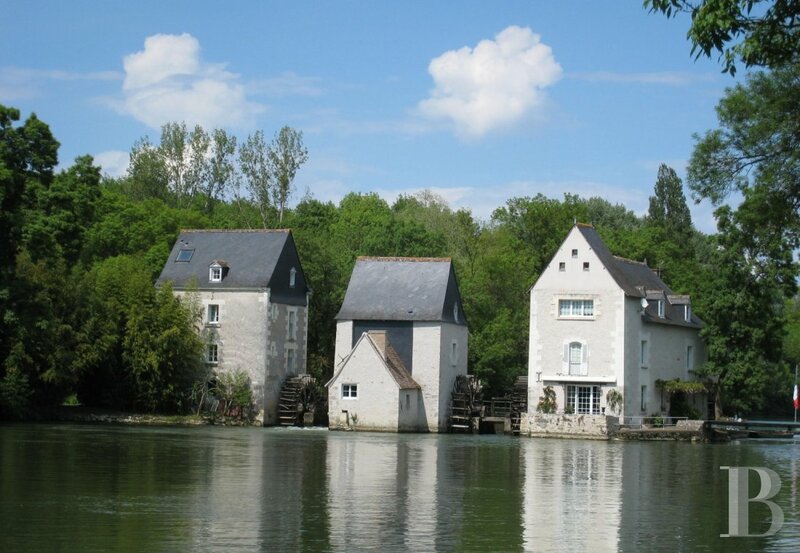 These perfectly preserved mills constitute a property that is relatively unique in this region. The flow of the river creates a soothing way of life for these premises, a delight for enthusiasts of fishing and small boat rides. 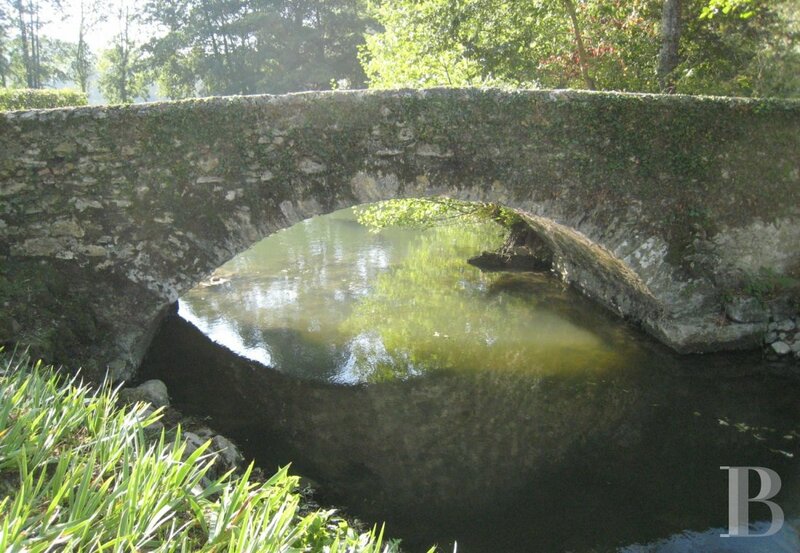 A haven of tranquillity which will ideally suit those seeking the peace and quiet of nature and its rivers. For those wishing to receive family and friends with no lack of privacy, the fully converted, self-contained north mill can be used for their accommodation; the south mill remaining the main residence. The charm of these waterside premises comes not only from its immediate appeal, but also continues growing over time.